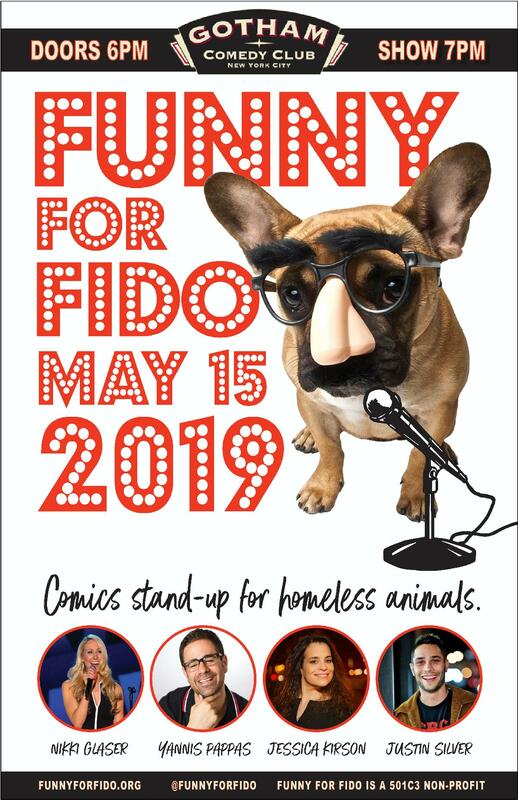 Funny For Fido is an organization that brings the country’s top comedians together to raise money for animal rescue organizations. All the profits raised at the events pay for veterinary care, food, training, transport, temporary and permanent housing for animals that would otherwise be killed. Join us May 15th at Gotham Comedy Club in NYC. This years lineup. Host Justin Silver, Nikki Glaser. Yannis Pappas, Jessica Kirson.